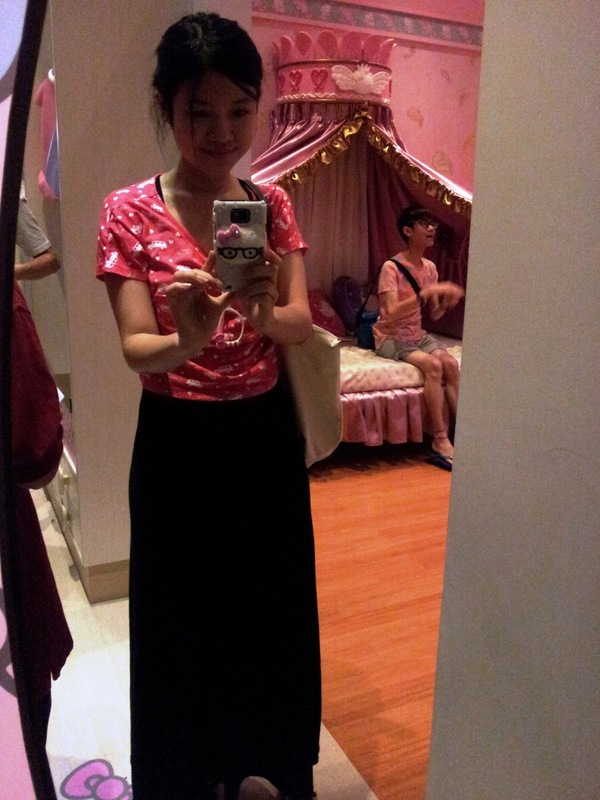 She is my youngest sister,and she is 21 yrs old starting today. 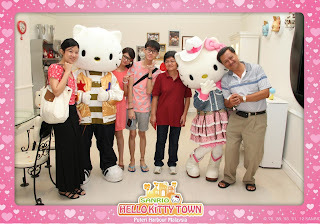 Hmm, she love Hello Kitty since she was born,my bro love keroppi,hello kitty's friends.i bought five kitty town pass for the whole family on this date - 30th dec 2012. 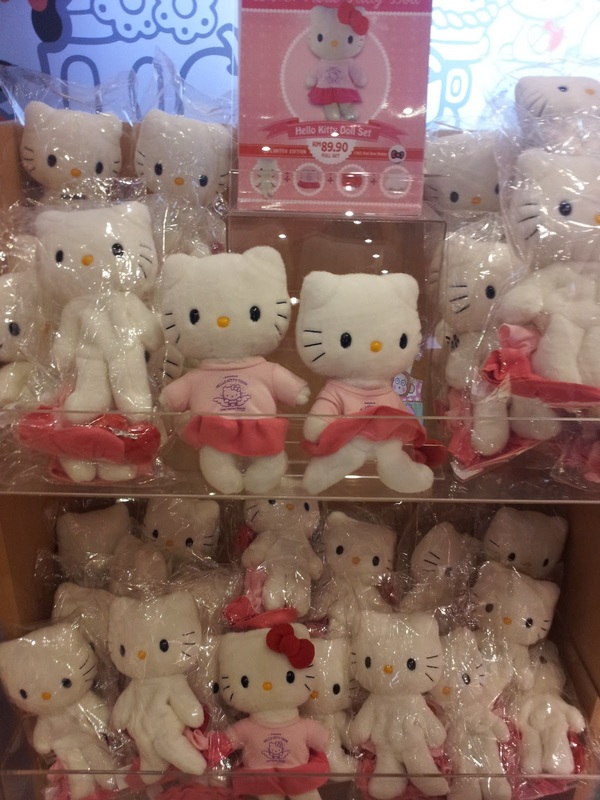 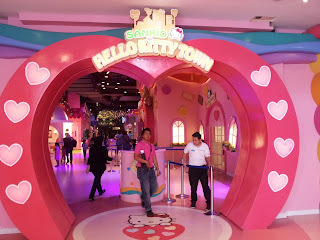 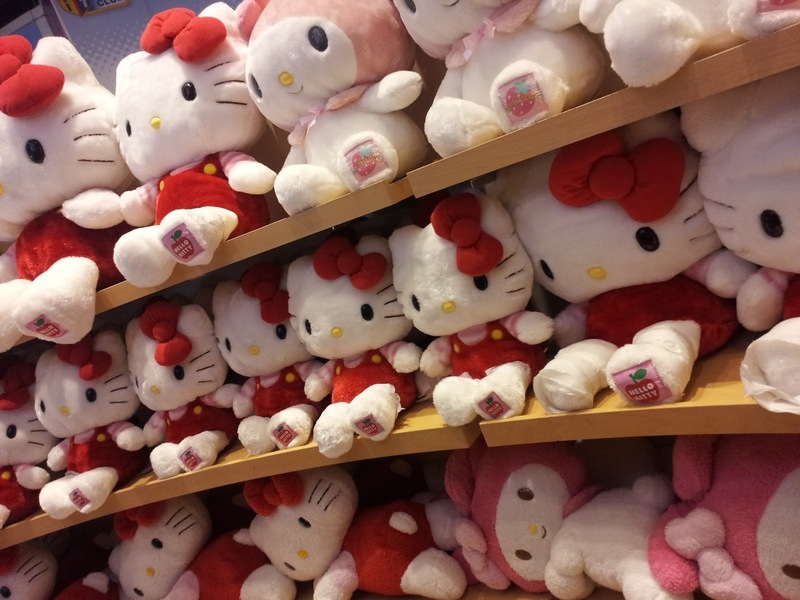 Hello kitty town is not a theme park,there isn't much rides for you,it's more like a kitty museum. 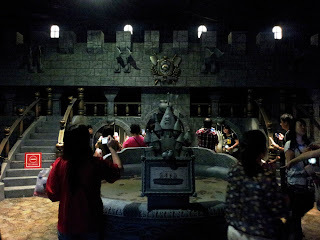 we arrived at about 930am,the theme park start its business at 10am. 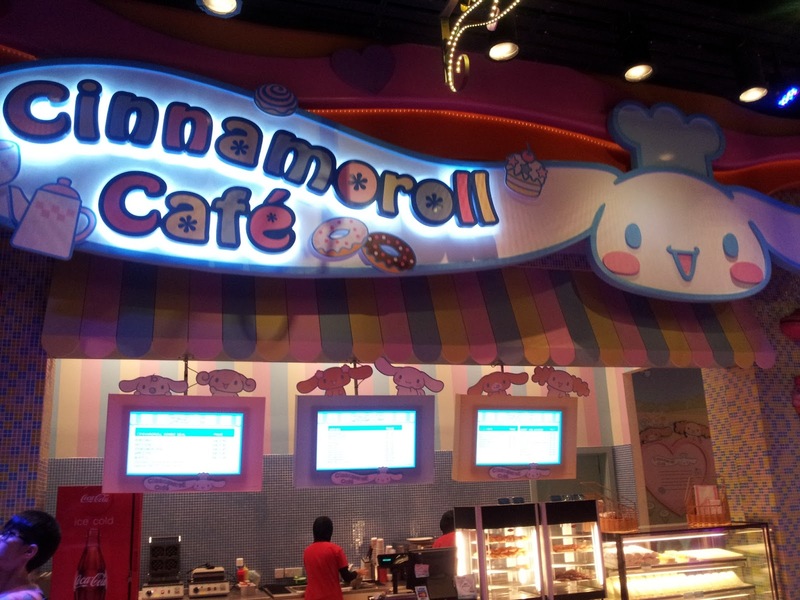 There are two cafes inside this kitty town , both cafe selling about the same menu and the price is quite costly. 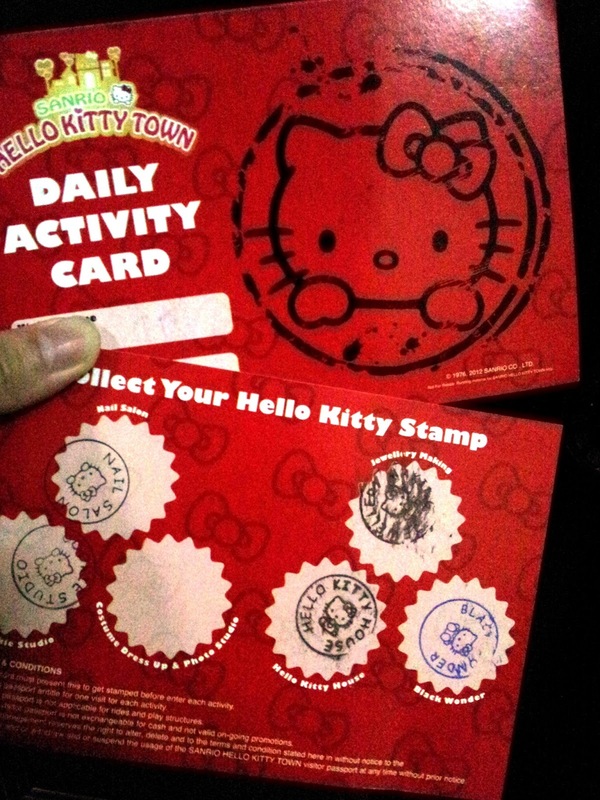 You will receive a scores card,you need to go to those dedicated stations and collect your kitty stamp. after completing the assigned task,then they will give you a kitty stamp. 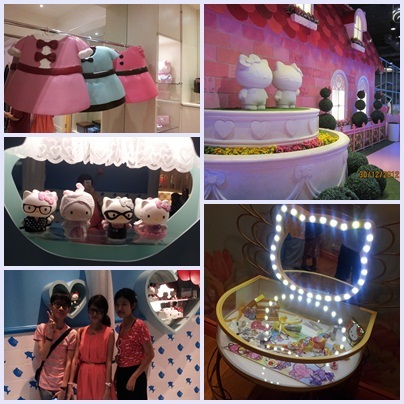 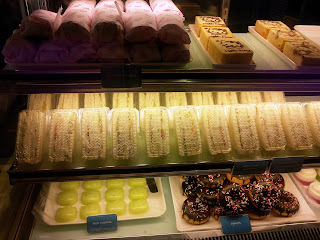 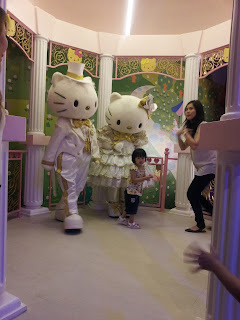 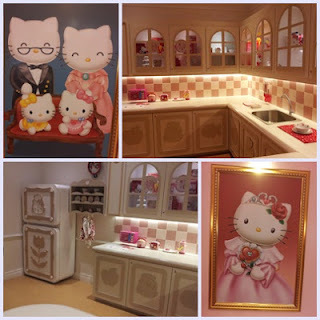 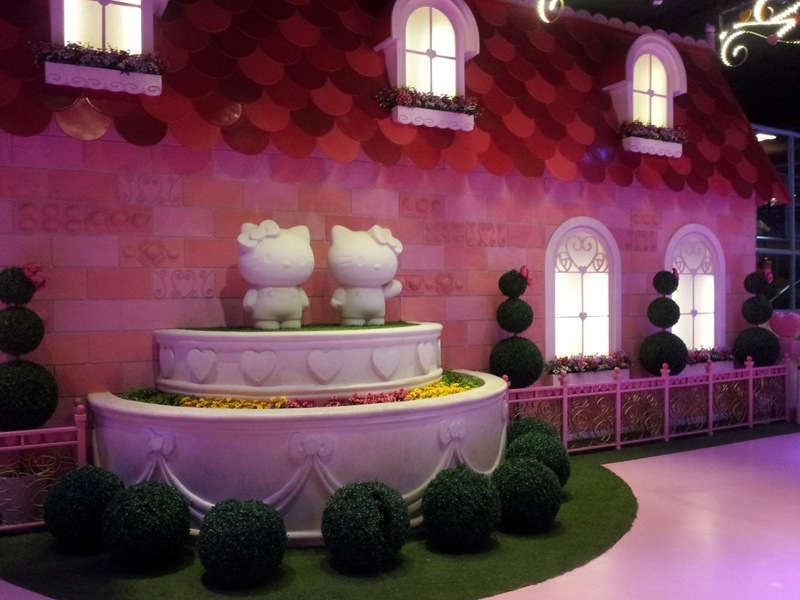 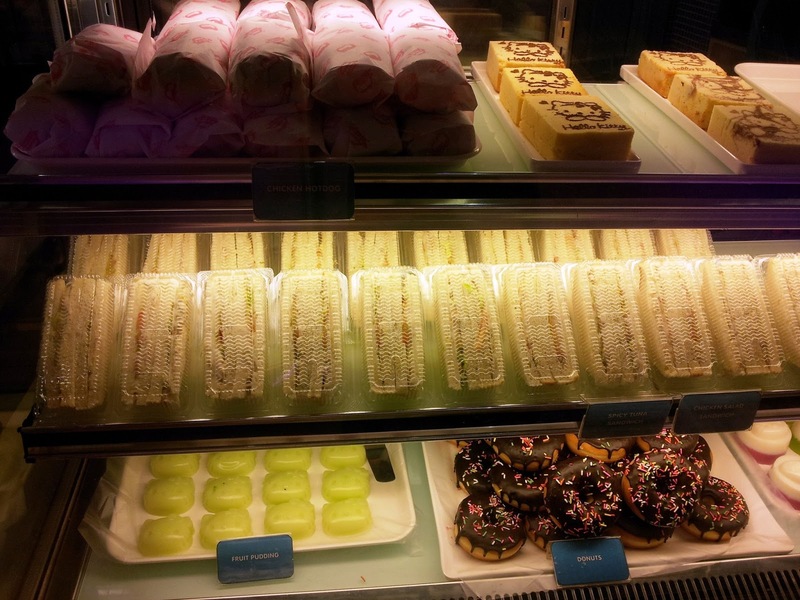 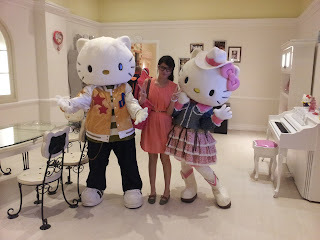 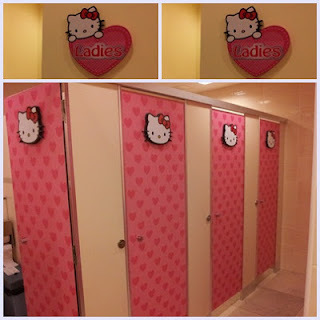 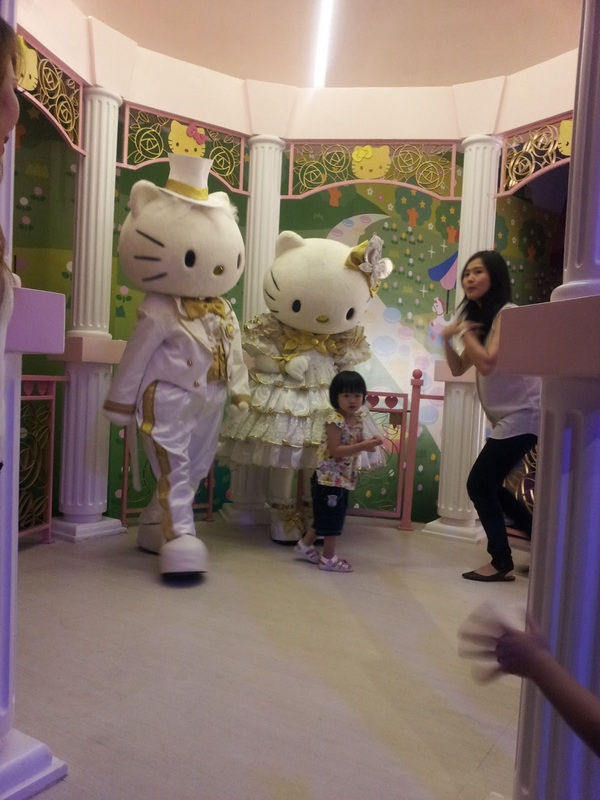 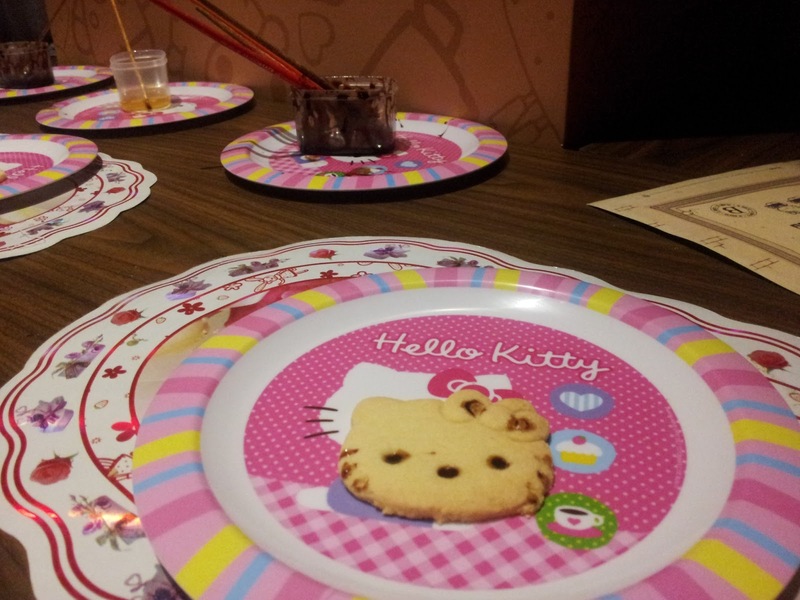 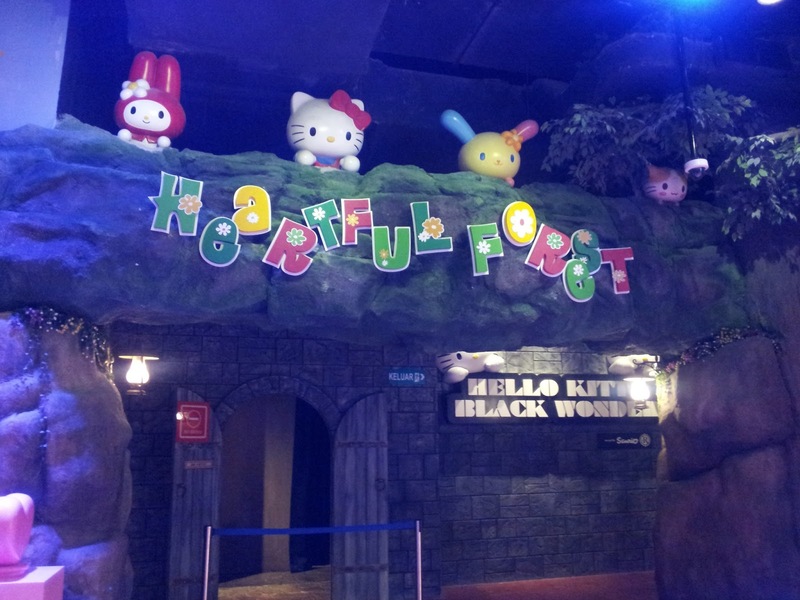 We first visited the hello kitty house.a house which everything relate to hello kitty branding. 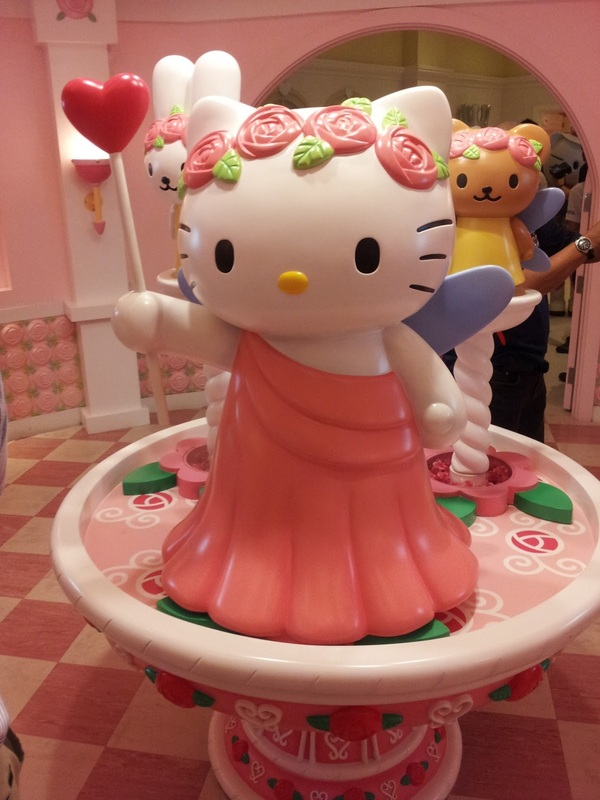 Next,the Hello Kitty Black Wonder. 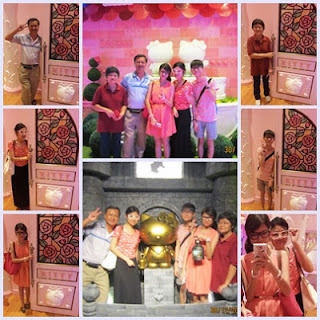 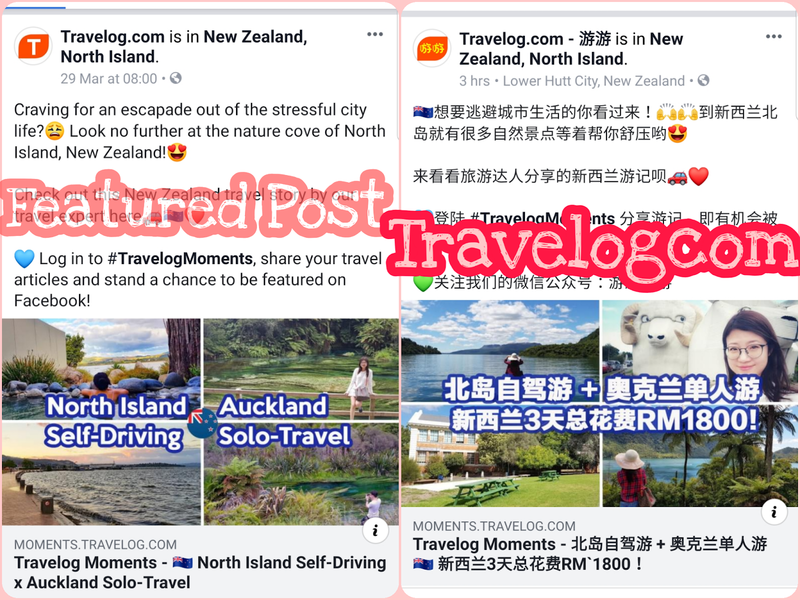 this activity very closely like a treasure hunt,just play the games,it's free anyway. 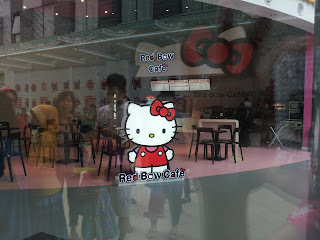 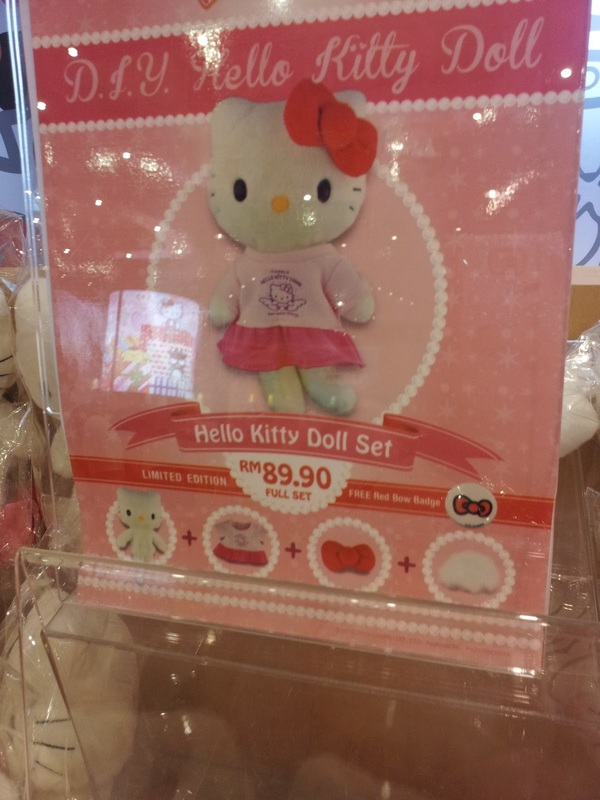 you will be given a kitty lamp and register yourself at the Hello Kitty robot machine. 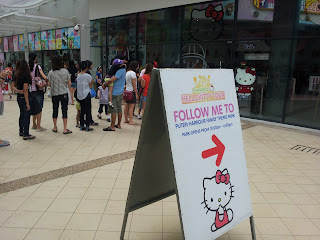 Follow instruction and start the game! I thought I'll receive some souvenirs upon successfully rescue kitty and Daniel. Then , we proceed to Wishful Studio. There are few stations inside Wishful Studio. 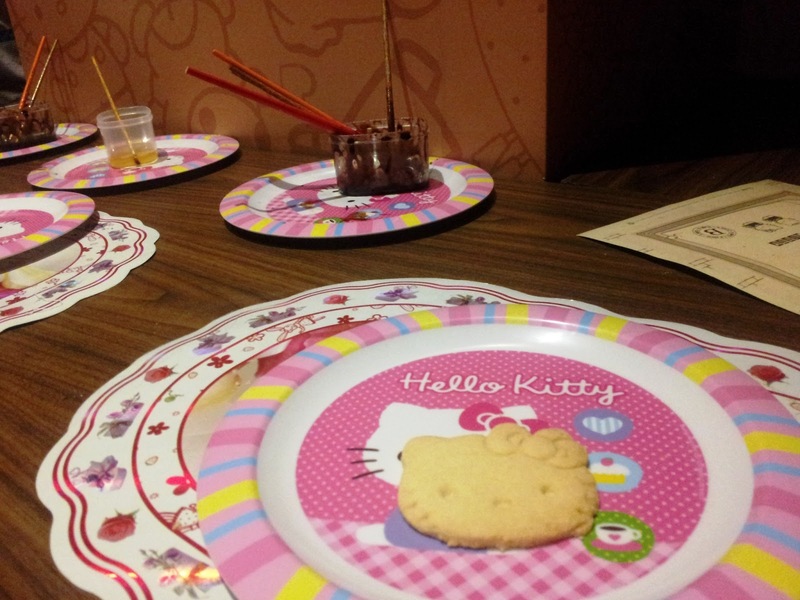 Nail studio - a place for you to do manicure, D.I.Y, they will provide you Hello Kitty Sticker and nail polish at sharing basis. 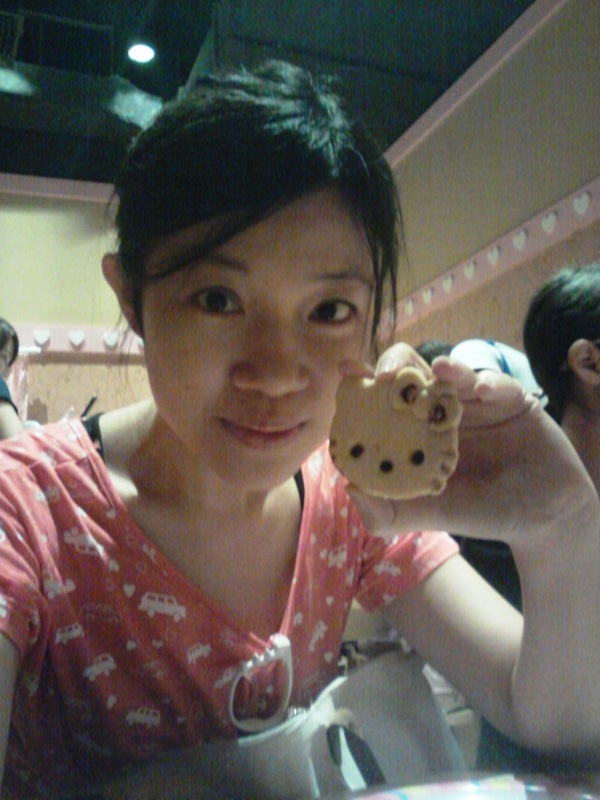 you need to do some coloring on the biscuit! 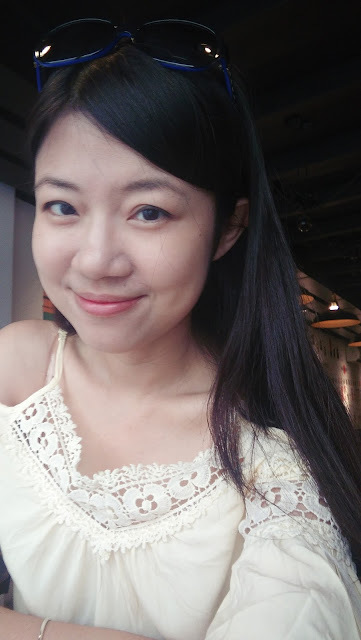 Coloring ? 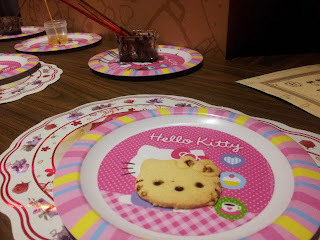 no worry , it's Nutella Jam ! it's really crunchy and delicious! 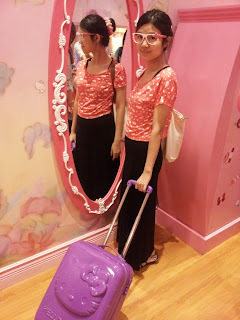 Last , costume dressing studio, be honest, we didn't manage to complete this last activity due to the long Que and tiring day. Basically, we spent about 30-45 mins waiting time in the que to go in each studio. Sis got this as birthday present from Dad. 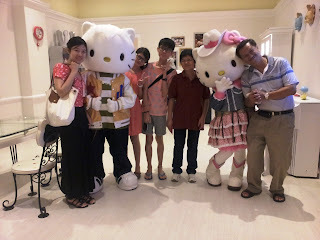 Goodbye Daniel and Kitty !